In this paper, we propose and analyze two standard finite difference schemes (called Scheme I and Scheme II) for discretizing the first-order necessary optimality systems, which characterize the optimal solutions of Dirichlet boundary control problems governed by elliptic equations. We proved that the proposed schemes are uniformly stable on a uniform mesh, which implies a second-order and first-order convergence of the Scheme I and Scheme II, respectively, provided the optimal solutions have the required regularity. The resulting symmetric indefinite sparse linear systems are solved by the preconditioned GMRES iterative solver with a fast (FFT-based) constraint preconditioner, which numerically shows a mesh-independent convergence rate. 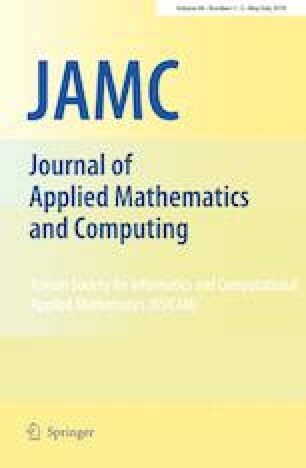 Numerical examples, including the case with less regular solutions, are presented to validate our theoretical analysis and demonstrate the promising approximation accuracy and computational efficiency of our proposed schemes and preconditioned iterative solver, respectively. Our developed fast finite difference schemes achieve a comparable order of convergence as the other available schemes in the literature. The author would like to thank the editor and two anonymous referees for their valuable comments and detailed suggestions that have significantly contributed to improving the presentation of this paper.